Today’s drawing was inspired by something that came up in conversation. My brewskee-ball buddies and I were talking about variations on rock/paper/scissors. I was reminded by something by friend Tuan had taught me. Cockroach/Atomic Bomb/Stomp! 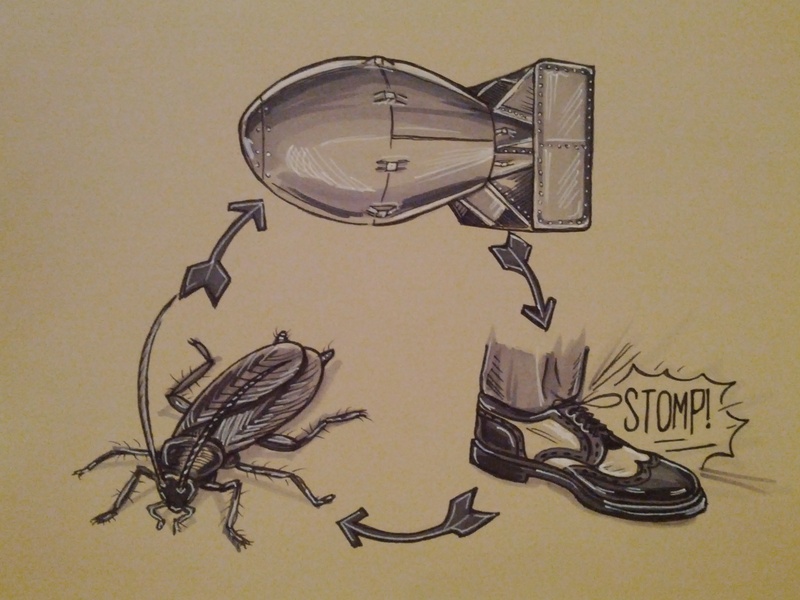 Cockroach beats Atomic Bomb, Atomic Bomb beats Stomp, and Stomp is about the only thing that will beat a Cockroach! Give it a whirl!